This fact sheet focuses on commercially canned goods. 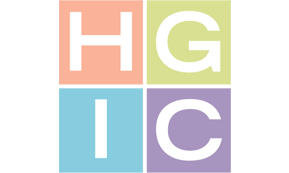 For information on home canning, request HGIC 3040, Canning Foods At Home. Canning is an important, safe method of food preservation if practiced properly. The canning process involves placing foods in jars or cans and heating them to a temperature that destroys micro-organisms that could be a health hazard or cause the food to spoil. Canning also inactivates enzymes that could cause the food to spoil. Air is driven from the jar or can during heating, and as it cools, a vacuum seal is formed. This vacuum seal prevents air from getting back into the product bringing with it microorganisms to recontaminate the food. Buy cans and jars that look perfect. Carefully check dented cans and jars for leakage and rust before buying. Cans and jars should be free of dents, cracks or bulging lids, which can indicate a serious food poisoning threat. Dusty cans or torn labels may indicate old stock. Also check for pull dates. Product Dating: Dates on product packages recommend purchase or “use by” dates. They are not safety dates. Product dating is voluntary and not required by federal regulations (except for infant formula and some baby foods). Since product dating is voluntary by federal regulations, a retailer may legally sell foods beyond the date on the package as long as the product is wholesome. However, it is not legal to alter, change or cover up a date on a product packaged under federal inspection. The product may continue to be offered for sale but the expired date must remain visible to the consumer. A “sell by” date tells the store how long to display the product for sale. You should buy the product before the date expires to have sufficient time to use it at best quality. A “best if used by” date is recommended for best flavor or quality. It is not a purchase or safety date. A “use by” date is the last date recommended for the use of the product while at peak quality and has been determined by the manufacturer of the product. “Closed or coded dates” are packing numbers for use by the manufacturer to rotate the stock as well as to locate their products in the event of a recall. Storage does not improve the quality of any food. The quality of a food will not decrease significantly if stored properly and if the food is eaten within the recommended time frame. For best results in maintaining product quality, practice the rule, FIRST IN, FIRST OUT. This means you use the oldest products first. A good practice in the home is to place the newly purchased cans in back of the same products already on the shelf. For best quality, use home canned foods within one year, and commercially processed cans within two years. Storage cabinets should be cool and dry. The best temperature for storing canned foods is between 50 °F and 70 °F. Avoid storing canned foods in a warm place near hot pipes, a range or furnace, or in direct sunlight. Storage time decreases significantly when temperatures are above 75 °F. Keep canned goods dry to prevent cans or metal lids from rusting, which may cause cans to leak and food to spoil. Juices (apple, orange, tomato, etc. 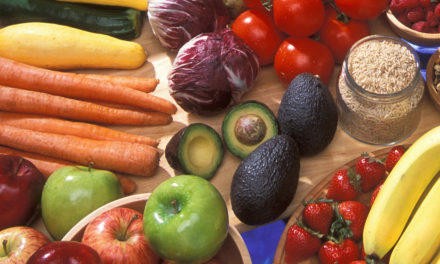 ), tomatoes, grapefruit, apple products, mixed fruit, berries, pickles, sauerkraut and vinegar-based products. Meat and poultry products, vegetable soups (except tomato), spaghetti products, potatoes, corn, carrots, beans, beets, peas, pumpkins, etc. Opened Canned Foods: Store tightly covered in a glass or plastic storage container in refrigerator. Commercially canned foods can be safely eaten straight from the can as long as the container is intact. However, DO NOT use home canned vegetables unless you have the means to boil them for 10 minutes before eating. Don’t taste or use canned foods that show any signs of spoilage! Look closely at all cans before opening them. A bulging lid or leaking can is a sign of spoilage. When you open the can, look for other signs such as spurting liquid, an off odor or mold. Spoiled canned foods should be discarded so they will not be eaten by humans or pets. Remember that once a can is opened, it becomes perishable and should be refrigerator-stored or cooked properly and then stored in the refrigerator if you are not going to eat it right away. Serve foods on clean plates, using clean utensils. 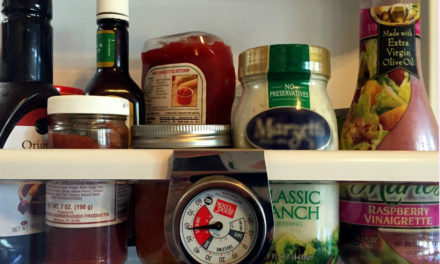 Keep opened canned foods in the refrigerator until it is time to serve them. Keep cooked canned foods hot, above 140 °F, but not for more than two hours. When outside temperatures are 90 °F or warmer, hold the cooked foods no longer than one hour before reheating, refrigerating or freezing them. Leftovers: After a meal, refrigerate or freeze uneaten food promptly, but throw it out if the food has been held too long or was a reheated leftover at this meal. Refrigerate or freeze cooked leftovers in small, covered shallow containers within two hours after cooking. Leave airspace around the containers for quick chilling. Date packages of leftovers and use them within a safe period. Cover and reheat leftovers thoroughly before serving them. Bring sauces, soups and gravies to a rolling boil; reheat all other foods to an internal temperature of 165 °F. Reheat only the amount of food needed for one meal. Never reheat a food more than once. Don’t taste leftovers to determine if they are safe to eat. If in doubt, throw it out! Discard outdated, unsafe or questionable leftovers. Place them in the garbage disposal or in tightly wrapped packages that cannot be consumed by people or animals.